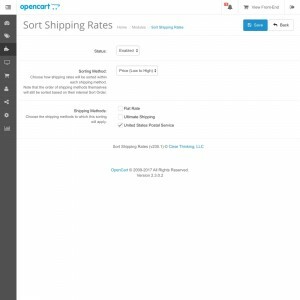 This extension allows you to easily sort the shipping rates within any shipping method. It works with any built-in shipping method, or any shipping extension you install that appears in Extensions > Shipping. 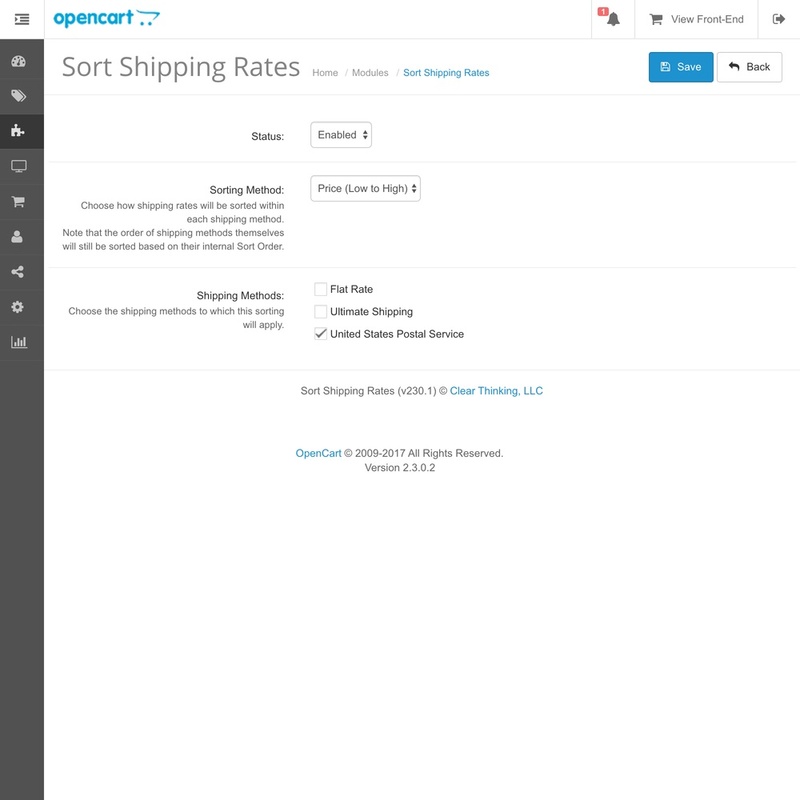 Shipping methods themselves are still sorted according to their Sort Order, so you can control which one shows up first in the list of shipping options. 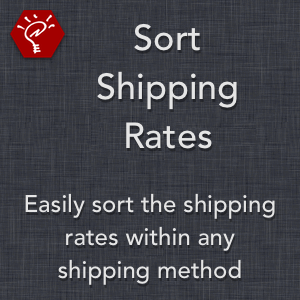 Choose to sort shipping rates by cost (low to high, or high to low) or by title (A to Z, or Z to A). 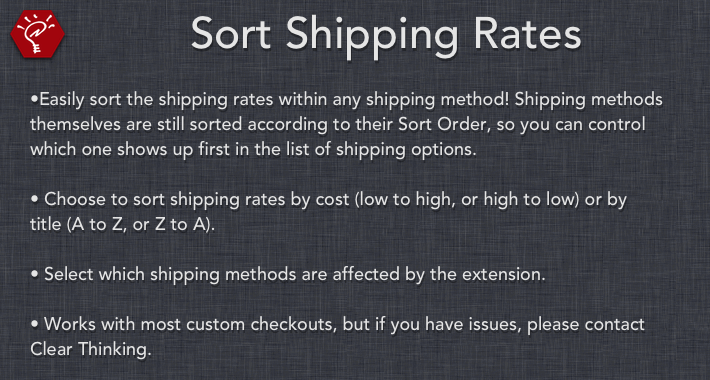 Select which shipping methods are affected by the extension. 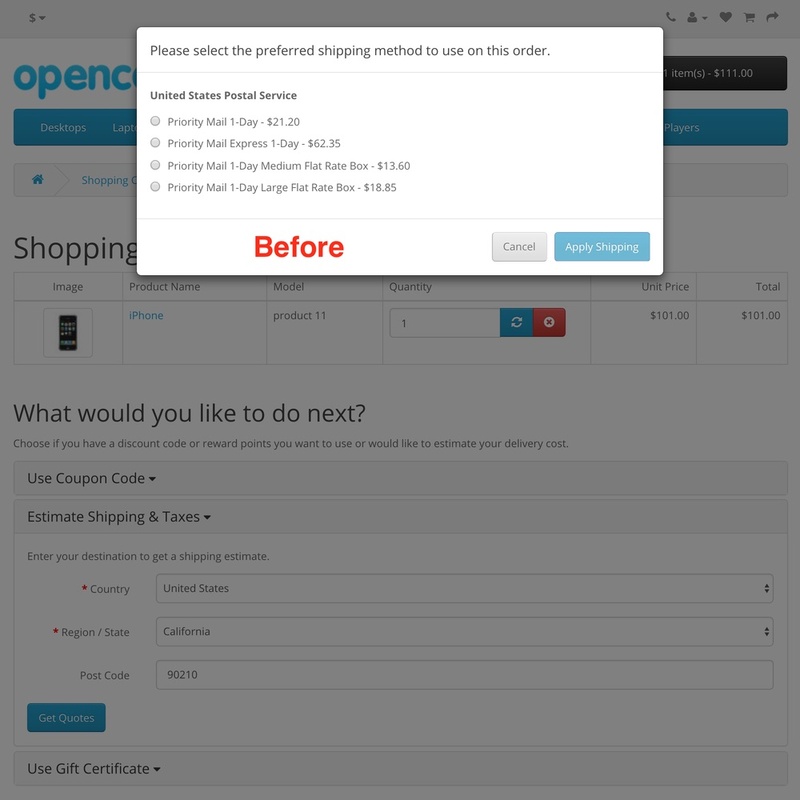 Works with most custom checkouts, but if you have issues, please contact Clear Thinking.